Part of the Nature Series Mountain Event Pack, a beautiful full color mountain themed invitation with snow capped mountain in the background. 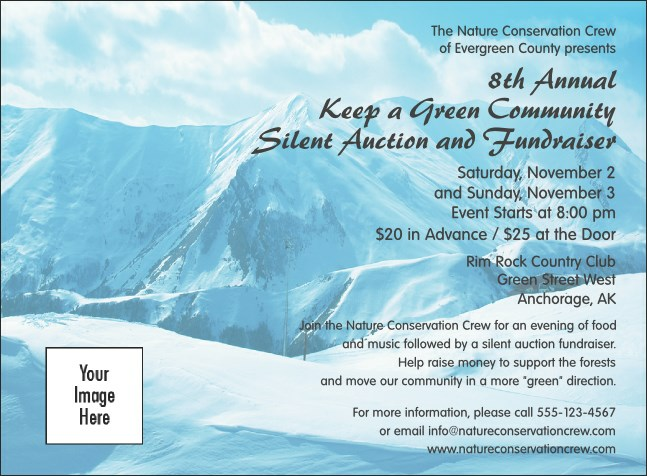 This invitation template and event pack are versatile, perfect for nature related, conservation, environmental events and communications, in addition to outdoor sports, winter, or when just inspiration is needed. TicketRiver.com.au has the Event Kit for all your needs.